Crisp buttery croissant! Rich layers of pastry dough are carefully rolled and brushed with butter, then baked and puffed up to golden perfection. 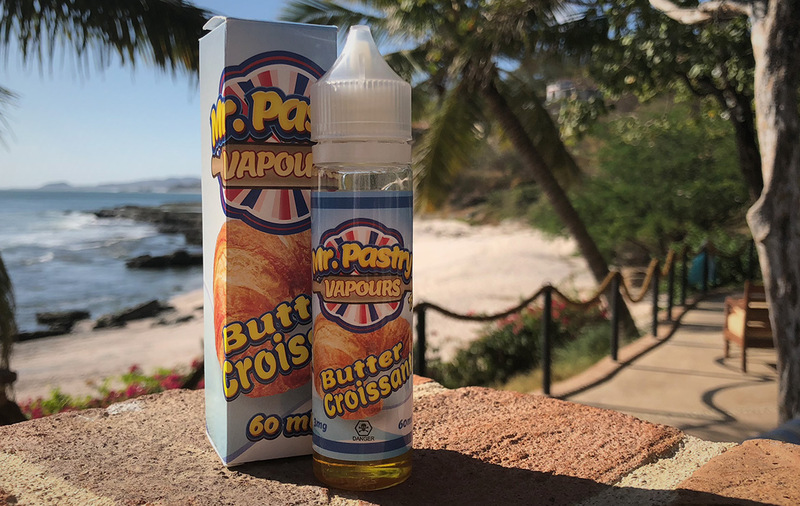 Mr Pastry Vapours doesn’t screw around. First with their recreation of the famous french pastry favourite, Mille Feuille and now with the classic world wide fav the Croissant. This is a pretty damn close recreation, with the buttery layered pastry and little flavour notes that take it a little beyond. Just like the real thing there are many different types of Croissants, and theirs is a mix of a plain and an almond in our opinion. Their are very subtle flavour notes of Almond and Honey, but for the most part this is a Croissant through and through. This is a Savoury rich vape for when you’re in the mood for a treat and something extra heavy on flavour. The balance is pretty good, but we would love to see a little more pastry and a little less sweet. With all that dense pastry flavour don’t expect this one to be easy on the coils/cotton. All things said, this is yet another very original offering from Mr Pastry and well worth checking out!